In Aotearoa probable reflexes of the Proto Eastern Polynesian word for the banana cultivars which were introduced to the region by the early Polynesian settlers, *maika, have been applied to several orchid species with edible tubers. Since apparently the palatability of these tubers is improved by cooking, the transfer of the name of the cooking banana to its miniature substitutes seems quite appropriate. It also gives us a good excuse to feature pictures of some more New Zealand ground orchids on these pages. 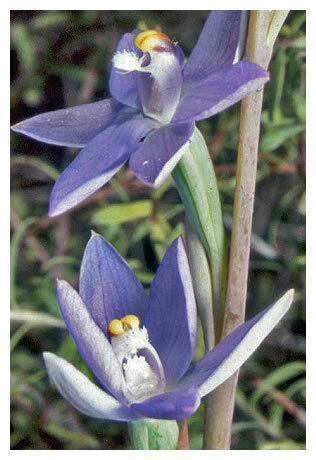 The names mäikaika and mämäika are used primarily for the "sun orchids", Thelymitra pauciflora (also known as mäika), T. pulchella, and T. longifolia (also known as maikuku). The name mäikaika is also shared with the "onion orchid", Microtis unifolia. All these orchids are plants of open country and clay banks; Threlymitra pulchella also grows on gumland and in boggy places. 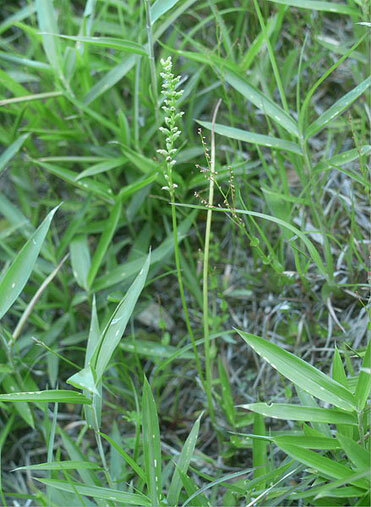 The Microtis has a single, long, tubular leaf and a slim flower stalk that can be anything from 10 cm to a metre tall, bearing very small, inconspicuous green flowers. The Thelymitras have much more attractive and relatively larger flowers (up to about 15 mm long), with variable flowering stems, which can be as short as 5 cm T. pauciflora and T. longifolia, and up to 50cm or so high in all three species. The photographs reproduced here show the beauty of the flowers but are several times life size! 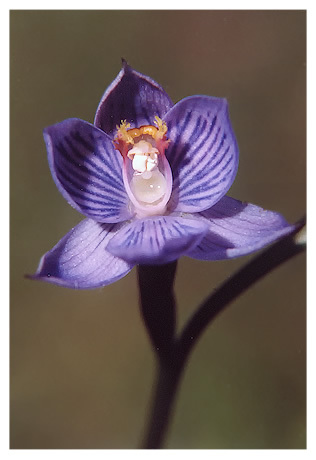 The photograph of the "onion orchid" was actually taken in Japan, as this is a cosmopolitan species growing natively in Australia, Indonesia, the Philippines, China and Japan as well as Aotearoa. 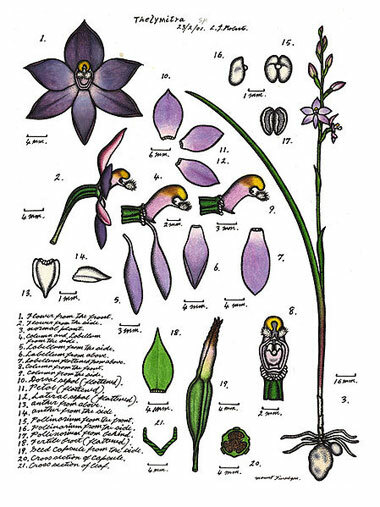 The words mäikaika and mämäika also designate the orchids Orthoceras strictum and O. novaezeelandiae, whose roots are among those known as para (those orchids are described on the page for that heritage name). Finally, the name mäika kä is sometimes given to the rengarenga, Arthropodium cirrhatum, a plant of the lily family (Liliaceae) bearing another heritage name and also having edible tubers which required cooking before being eaten. Further information: There is further information about Microtis unifolia on the NZ Plant Conservation Networks's site - Plant ID 1010, and its food potential has been sufficient for it to be included in the "Plants for a Future" database. There are also some very good enlarged photographs of Microtis unifolia on the Kaimai Bush website. 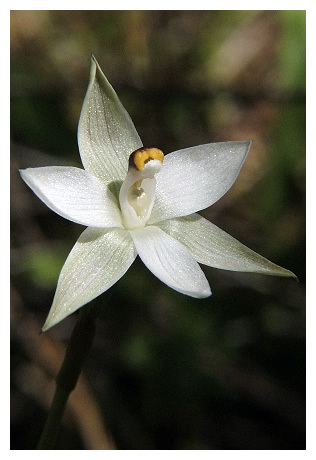 The NZ Pant Conservation Network's site also has comprehensive information and many photographs of Thelymitra longifolia (Plant ID 1350), T. pulchella (Plant ID 1352), and T. pauciflora (Plant ID 2331). The NZ Native Orchid Group's site also has information about all these species (see link below). Photographs: The photograph of Microtis unifolia, which shows just the kind of environment you are likely to find it in here, was taken in Tanabe City, Wakayama Prefecture, Japan, by "Keisotyo". It is in the Wikipedia Commons. 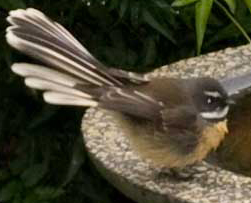 The Thelymitra chart was deposited by Lewis Roberts on the same site. The photographs of the Thelymitra flowers are from the NZ Native Orchid Group's website: T. pulchella & T. longifolia by Michael Pratt, and T. pauciflora by Eric Scanlen.